For any artist out there looking for airtime on a great, rockin' station manned by some of the coolest guys in the business, Lkcb is the way to go. The gang at Lkcb go out of their way to promote their artists. Tracks from my new solo album got hundreds of plays, and some of the promo stuff the station came up with blew me away. I can't recommend Lkcb highly enough! I highly recommend LKCB. This radio station has been great to me and my music, and I have had such good help from this station airing my music. They are dedicated people and genuine music lovers that has taken me seriously from day one. So, if you decide to work with this radio station you will have a good and great audience for your music. I know since I have had a lot of feed back from people that has heard my music on LKCB…. As the Jeffery Brothers we have toured all over, from Canada, Europe to the UK! We Have to thank radio! Lkcb Classic Rock has always been on our side! Its a radio station that listens to the Artist and plays what they think is best. I look forward to working with them for the new album and the future from our back catalog. Thanks for all the support and hard work!! We look to keep Rockin' LKCB! In todays fast moving on-line world, I cant tell you how important it is for endorsements from a third party. Im constantly impressed with the posts that appear from LKCB promoting my Art work on-line, and the flood of responses they bring forth. LKCB is often the Genesis of conversations that lead to serious inquiries of my ART That ROCKS musician series of Art Prints. Thanks to this station my Artwork continues to be looked at through enthusiastic followers of theres, and i'm glad to have them on my side! 1st off I'd like to say, the personal at this station are hands down, the best out there! Awesome rockers that show great support to artists. LKCB has been a great supporter of Soul In Stone for a while now. They have taken us on and showed us that rock music still lives out there. They show great and un-dying support for the indie rockers and the great classics. LKCB have played Soul In Stone from day 1 no questions asked, hands down best out there. We will always be good supporters and I know they will be to. A few years ago we found LKCB and they found our band, WHEN THUNDER COMES. It was not only a thrill to hear lots of our music on the various DJ shows, but all of a sudden we found many new people becoming our Facebook friends. Our new music fans are from Canada, California, New York, Philadelphia, Baltimore, Washington, DC, England, Europe and Even Thailand! This also generated some nice sales on Amazon and CD Baby. We were able to point music venues to hearing us on Lkcb and it got us the gigs we wanted! Another real nice thing was that it just revitalized our band to hear our music being played and people responding to it. I love LKCB Classic Rock and their devotion to rock music. I also very grateful for their support over the years. Its a fantastic feeling to be able to sit in my car in sweden on my way to a gig and listen to lkcb, anywhere! LKCB Rocks! Lkcb is one of my favorite radio stations and Leonard is rawkin', helping us out by giving our songs alot of airplay! Leonard Kaye and LKCB Radio are the perfect match!! As a long time recording artist radio has always been the main objective for me. The almost impossible goal of musicians alike. Today's avenue of exposure hasn't changed but the demographics have. The potential of tens of thousands of listeners are out there via internet radio. The exposure is amazing my songs on LKCB radio have increased my fan base by hundreds if not thousands. My online sales have shown a major increase in downloads. This is the future of radio. Listen anywhere anytime with requests for my songs at the touch of a button...even with the major Grammy artists i have recorded with i need this radio exposure to connect with new and old fans there's no better way to get your music out there period. LKCB has fresh format for listeners it simply works. Great station great DJs great music its the only station i listen too...LKCB rocks. I just wanted to say thank you for the help and continued support LKCB radio has given my music. I enjoy the stations Djs and their selections, and have even had the pleasure of working on air with them for a little while. Its nice to hear a radio station so open to new artists while still keeping the vanguard of rock music alive..without seeming dated or overdone. Keep up the good work guys and keep rocking!! LKCB have been a fantastic station helping me to get my music heard! They have Given me great feedback and support on starting my new venture as a solo artist! Leonard and the gang, have always been friendly and dedicated to airing music from all genres, and it's an honour that they play mine alongside other artists like myself as well as all the greats! Cheers for all your hard work!! I want to thank you for the friendship and music business relationship we have enjoyed over the years that we have known each other. Your programming on Lkcb Radio is very unique because so many stations today just play a straight rock format and play the same old songs over and over again. Lkcb stands tall among other stations because you actually give worthy groups a chance to be heard on the air and presented to an ever growing loyal listenership. Your listening audience demands an original rock format and bands that pass your professional ears for that format are just what they are hungry for. I cannot tell you enough the times that your audience has requested my group, Sonic Revolution’s single and video of the song “RIOT”. In addition, the music of the groups and solo artists that I represent, like Vaughan Penn, and my guitar player, Marty Schalk’s music has greatly increased sales of our Cd’s. I am always getting emails from Lkcb’s listening audience from all over the world requesting autographs and signed photos and asking when our new album is going to come out. I listen a lot to Lkcb and your DJ’s ROCK. Even though I have been in this business what seems like forever, I still get excited when a good DJ pumps up the introduction to “RIOT”., and you have some great DJ music personalities on Lkcb Radio. I also like the fact that your listenership penetrates into Northern Europe, the hard rock capital of the world. Such great groups come from that area of the globe, like my friends the “Scorpions” and “Gravedigger”. No wonder the audience there is so demanding. They are used to hearing and seeing great music all the time. Scream Arena is grateful for the support of Lkcb giving us the chance to be heard beyond our shores. Lkcb gives the artist a shot, and they know how to do it! Hi lkcb just wanted to say thank you for always playing my songs at your awesome radio stations! its been so helpfull and anyone thinking of sending your songs to this radio station should do so right away.lkcb has been there for me when i first released seven thunders they put it on the air as soon as i got them a copy lckb rocks hard! LKCB Classic Rock..Great radio station! They have always played my music to the world and my working relationship with LKCB, always fun and interesting. Im looking forward to sending off my new releases for airplay and DJ Set Lists. Brilliant Radio and Great People! Hello! I'm lyric and instrumental artist, Anca Balinisteanu of Bucharest, Romania. I would like to recommend you to the best station in town - Lkcb Classic Rock! They are such nice people and I found them to be extremely professional with great staff.! My music was in everybody houses, here in Romania and around the world thanks to Lkcb Classic Rock! Lkcb for me is the best Canadian radio station around! No long boring commercials and always good rocking tunes! 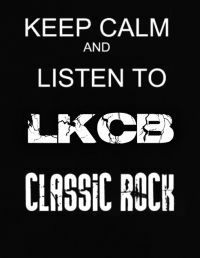 One of the best things about Lkcb is they promote independant Canadian artists like myself and help us get heard, not many give us the time of day like Lkcb Classic Rock does! Thanks again for everything Lkcb and the 24/7 music 'Eargasms' Keep up the good work! McClinton would just like to thank you for all your support. Playing our music and helping us get to the masses of listeners that tune in to your station!!! Re tweeting and all the social media postings that you have done for the band through out the last year!! And look forward to working with you in the future. Sincerely Michael Mcclinton Of McClinton. All the members of Tamin Thunder would like to thank LKCB Radio for playing our songs in rotation with the best of Classic Rock, Blues and Even Country! Adding the 'Request' button to the website is genius! This station truly ROCKS!! Cheers to all the DJs at the Station! We cannot thank LKCB radio enough for their constant support and airplay! We recommend Lkcb to any artist seeking continued support from dedicated and knowledgable Djs who demonstrate a good understanding of music and the needs of new and established bands. Leonard Kaye and his fellow DJ's have been extremely kind in welcoming me to their radio station family of artists. They have made me feel like a celebrity time and again with each new release I forward to them. It's been so awesome to hear my tunes and my friends originals played right along side of the big boys. For me and my house LKCB is the station we choose to have playing whether we are home or away. LKCB has made my dreams of airplay come true. LKCB is a Great Radio Station for ALL Artists to get their music heard. Leonard and ALL the Djs there have been very generous and supportive of my music..I can't say Thank You enough for all the airplay. I will ALWAYS support LKCB...You Guys ROCK!! In the old days as a British rock band, it was nigh on impossible to get your songs played in Canada or the USA, for that matter, any other country, without help from a particular record company. Most of these RCs never really did the promotional job properly for their bands. These days it's different thanks to radio stations like LKCB. I was amazed when they suggested playing tracks from my solo project 'Personal Sin' and of course extremely grateful because this kind of radio exposure is invaluable to an artist. The guys who run the station are true music fans. In fact, with the same commitment to the music as the artists they represent on their shows. For myself and my band, we are truly grateful for LKCBs interest and help and look forward to a mutual relationship for our future musical projects. Rock and Roll presented in a totally Professional Package! So keep on rockin' LKCB, you're doing a fantastic job!! My name is Carl Rose. The folks at my Favorite Radio Station LKCB have been a part of my life for many years. From the time when I was a resident of the community of Labrador City, till now residing in Ontario, I have, and will continue to enjoy their music, and support them in their endeavors as much as they have supported “The Rockstars”. The D.J.’s that I know at LKCB are among the best, knowledgeable, and gifted in the business. If you have a product that you would like to have advertised I would strongly recommend LKCB Radio be your station of choice. Their fan base not only continues to grow in Labrador, but has expanded to most provinces in Canada as well as other countries. I love what you are doing with LKCB and would recommend you to other listeners and artists who want airplay. This station ROCKS, and the DJs play the GOOD stuff ya don't hear on traditional radio. When I listen to radio, I always tune in to LKCB! Hi this is Danno Mofo from the band Ol'Mofos. 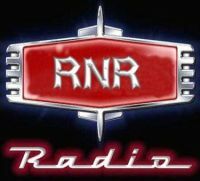 Since 2010 We have been listening to our music and many, many other Great artists on Lkcb Radio. Lkcb Rocks the internet like a Mofo, playing lots of great Indie bands as well as many bands you already know. Lkcb is a must have on your favorites bar, offering a great selection of music to listen or choose your own from the option on the web page. Take it from an Ol' Mofo who's been around and heard a lot. Try Lkcb, you won't be sorry. LKCB has been a constant throughout my musical history. From The Watchmen and Thornley, through to my current solo music. LKCB has been there to promote and spread the word. The staff has been great at reaching out and keeping in touch with regular updates on their playlists and as well with inquiries into what's new in my world :) Great station with an Awesome Attitued for sharing and promoting all forms of music!